WELCOME TO THE THIRD NEWSLETTER FROM WILM! We hope you’ve had a busy summer and enjoyed the great weather we’ve been having during festival season in Europe. Notice: If you have any photos/stories of your summer gigs, we would love to see them posted in the facebook group! 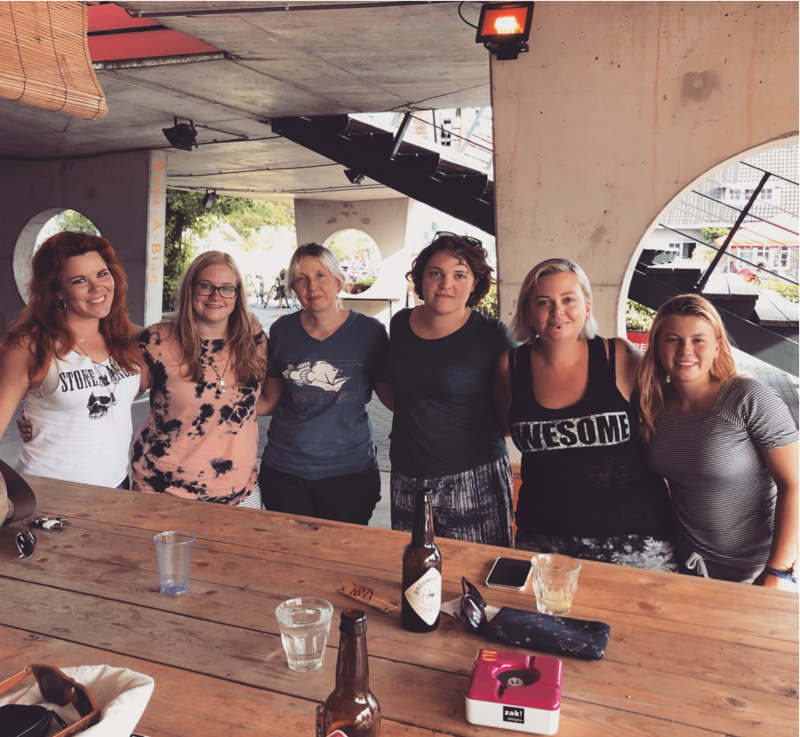 On the 7th of August we held our first meet up in Holland. We were lucky to be joined by Chez Stock (monitor engineer for Nora Jones) who had lots of great stories to tell. We had a fabulous time enjoying beers in the warm weather, and we hope to be back again soon for another workshop! Thankyou to EVERYONE who came. 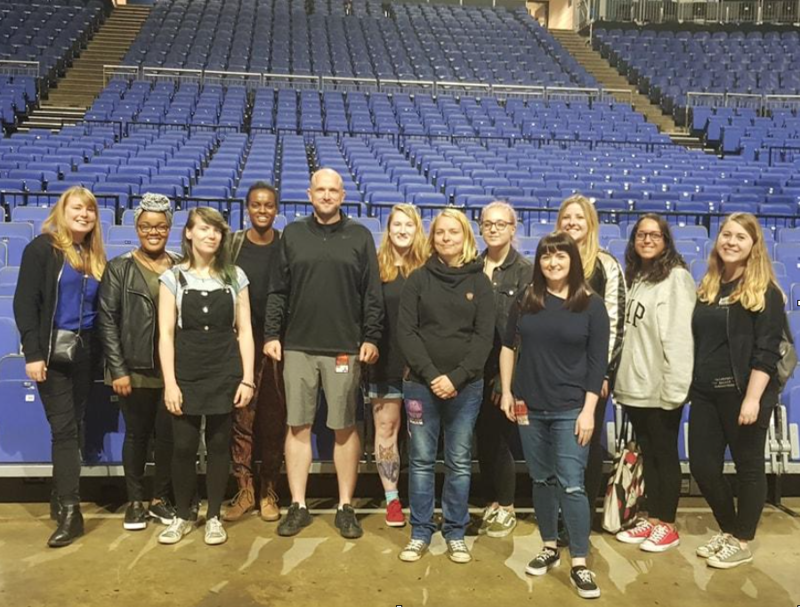 We had an amazing opportunity to invite 10 WILM members to join System Technician Ville Kauhanen for a production tour of the Britney Spears concert at the 02. Ville spoke about a lot of very different aspects of tour life; making sure that you’re fit both physically as well as mentally, how to build a career (do’s and dont’s); he described different roles in the production team and gave us the rundown for a typical workday on tour. Our lucky participants got to visit not just behind stage but also ON the Britney-stage – and check out the technician booth (…of course!). It was such an interesting day, and rounded off by going to a restaurant nearby to grab some lunch and have a great chat about the music business in general. A big thank you to both Ville and the girls who joined. Last month we held another great workshop in the wonderful Pumphuset venue in Copenhagen. Dan Page guided us through configuration, use and solutions for Waves SoundGrid network. Guy Coppin then taught us all about Waves PlugIns – tips & tricks and which plug in sounds good on what! We had a great turnout, thankyou to everyone involved and everyone who attended. 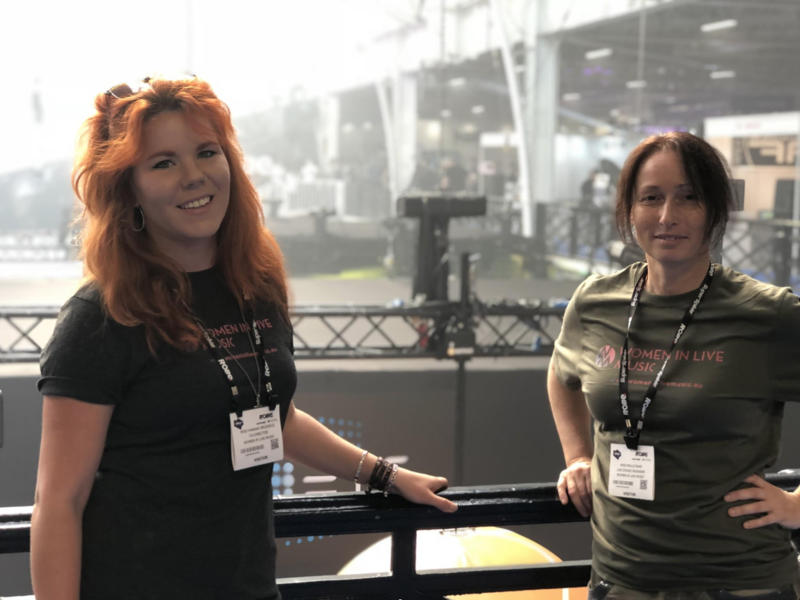 CEO Malle Kaas and co-director Hannah Brodrick visited PLASA this year where they met up with members and organised future workshops! We had a great time and hope to see everyone again next year. We hosted our first ever meet up for Finnish members in Helsingford! Salla Vallius came to educate WILM members about LiveFIN. 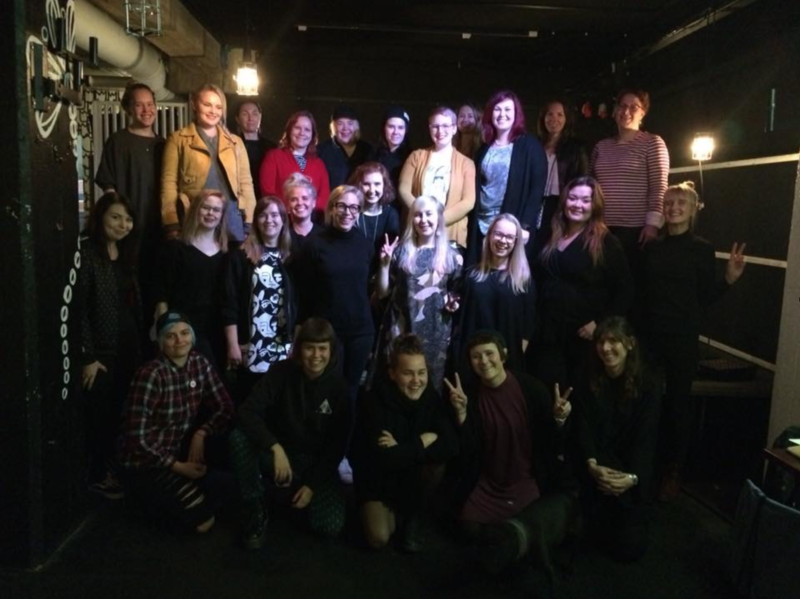 It is so great to see how our organisation; Women In Live Music, is doing what it’s supposed to do. We are especially delighted to see experienced members helping out newcomers – What a great community this has become! We can do it even better! One of our future goals is to collaborate with other European organisations in order to provide female crew for next years festivals and venues etc. Because of this we are now currently looking for an ‘International Communications Manager’ to join the WILM team, please get in touch if you are interested in this role. Come and meet our experienced industry professionals at Sarm Music Bank in London, who will talk about how they became a backliner, which skills are good to have and what a typical workday looks like for them, etc. d&b audiotechnik have designed a special workshop for us, which will teach us all about their products, and what you need to know about system tecching a show using their gear (tuning, rigging etc). We recommend you have a basic understanding of electroacoustics before attending this workshop. However, this is a great opportunity for newcomers in audio to gain some valuable knowledge! And it is absolutely a great chance to come and spend a couple of days with other members! We are also working on future workshops for lighting and tour management, please get in touch if there is a subject you would like a workshop on and we’ll see what we can do! … P.S all of our events are free! Our crew list is filling up nicely! Thank you to everyone who has created their profile and donated. We are planning to share our website and crewlist with production companies, management companies and festival organisers soon to hopefully give our members a new wave of opportunities…(if you are already on the list, please let us know if you are not happy with your profile. And we will help you to edit it). Please like our facebook page https://www.facebook.com/womeninlivemusic.eu/ as we do put up dates for training, tradeshows etc. here on a regular basis. We now have over 1165 group members on Facebook! Our members have been sharing tips, posting photos of their gigs and giving each other some excellent advice. Keep it up guys!